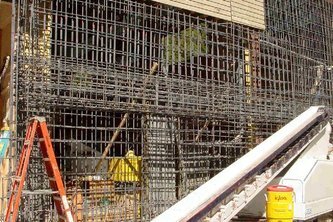 SPECIALTY CONSTRUCTION - Welcome to Cal Electro Inc. Although many of our prime contracts are electrical, CEI specializes in difficult projects requiring knowledge and expertise in mechanical areas. 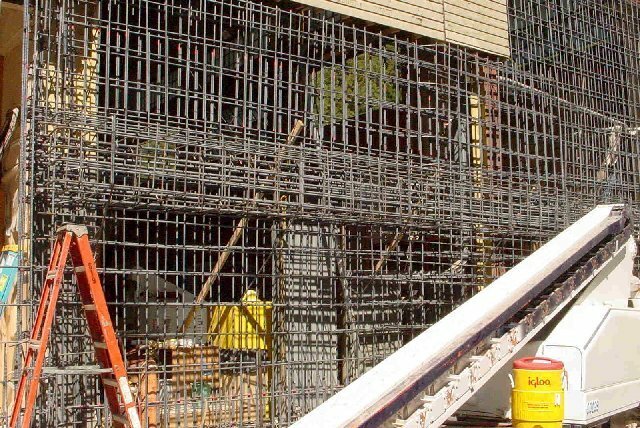 We have the capability to complete many facets of construction, from crane rehabilitation, concrete site improvements, underground utilities , and all electrical phases. This project involves constructing a new telecommunication tower and supporting infrastructure at an existing tower site in Tehama County for CHP. 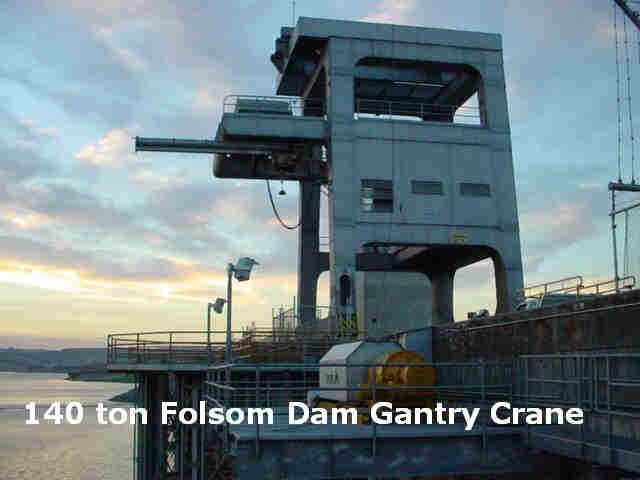 Work included transporting, erecting and installing owner furnished pre-manufactured 120 foot tower from W. Sacramento to Colby Mountain. 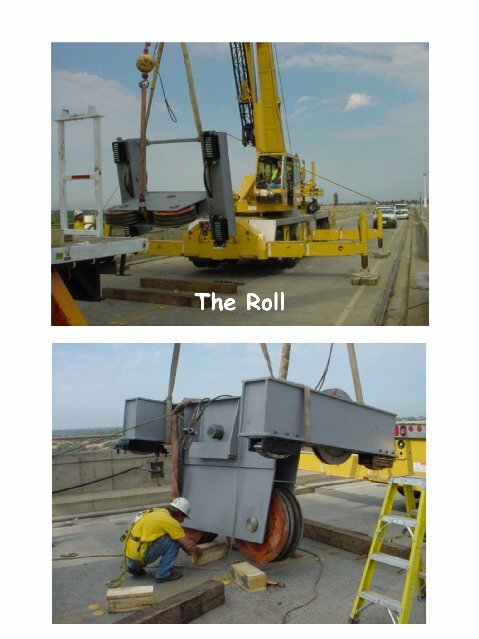 Tower is a self supporting, 4 legged metal improvement. Foundations, separate generator building with emergency backup generator, photovoltaic panel field, propane fuel system, and electrical utilities are also a part. 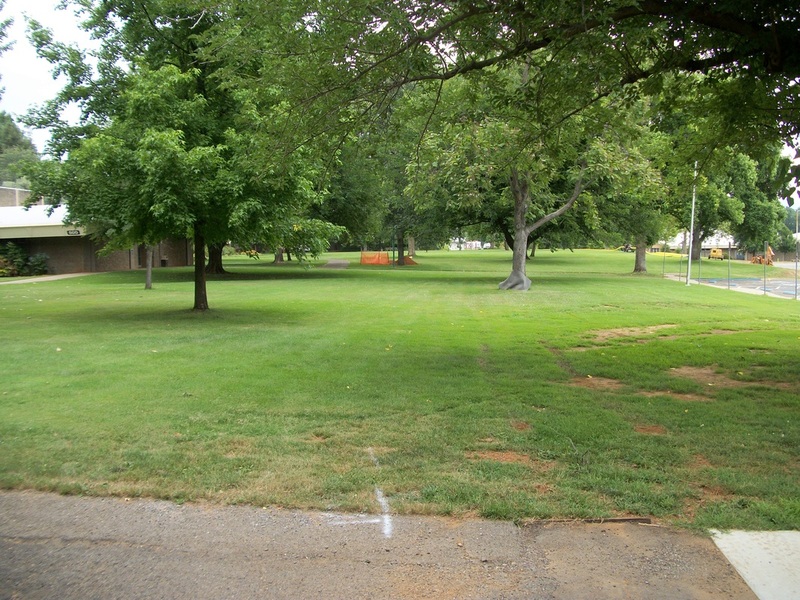 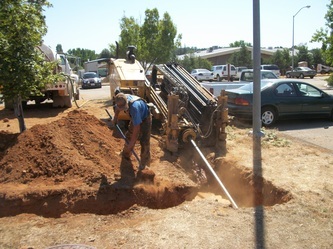 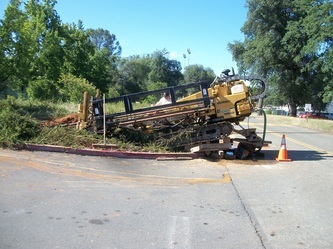 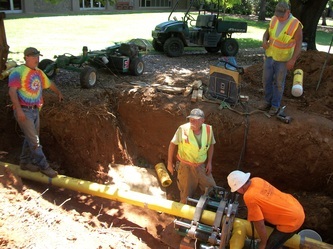 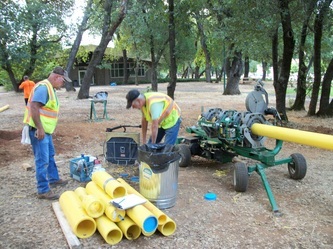 CEI installed a gas line at Shasta College. We put our boring machine to the test here, and we were very pleased with the results. 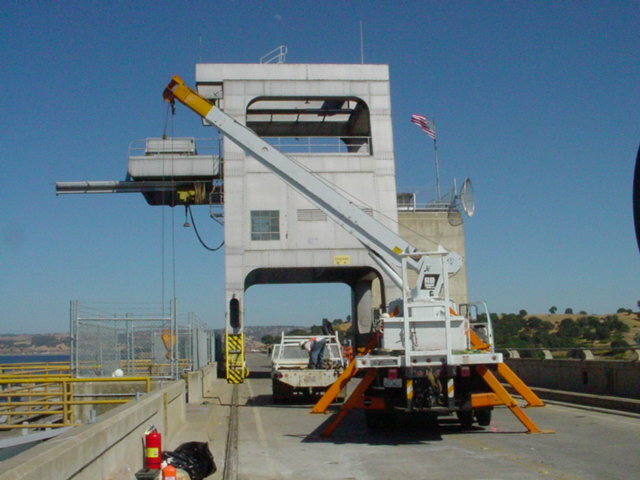 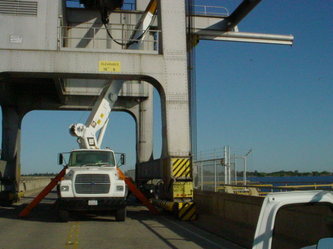 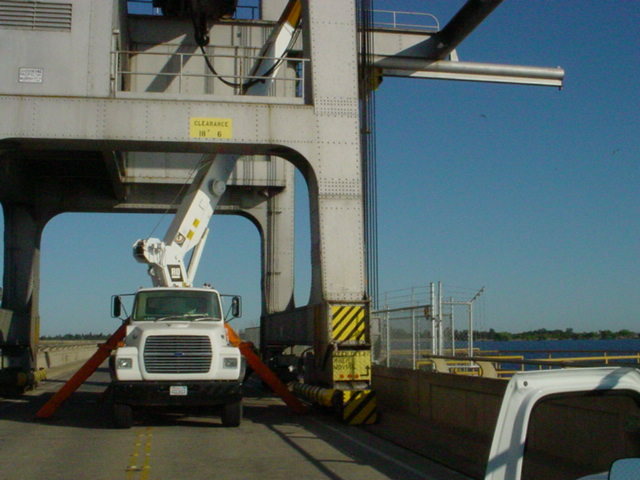 This project consisted of installation of new VSD's, engine generator, automatic rope re-winder, operator controls, wire rope, fuel tank and platform, on the existing 125 ton gantry crane located on Shasta Dam. 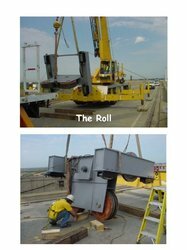 This project includes the modification of three cranes, by installing new load cells, VFD's, festoon systems, wire rope, rail foundation, operator controls, and 140 ton trolley. 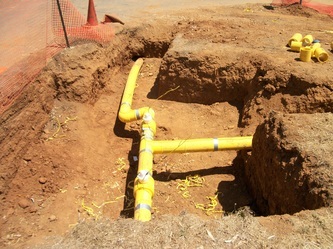 This job is challenging due to the specialized scope of the work, i.e. load testing a 140 ton crane with water weights on Folsom Dam Blvd. 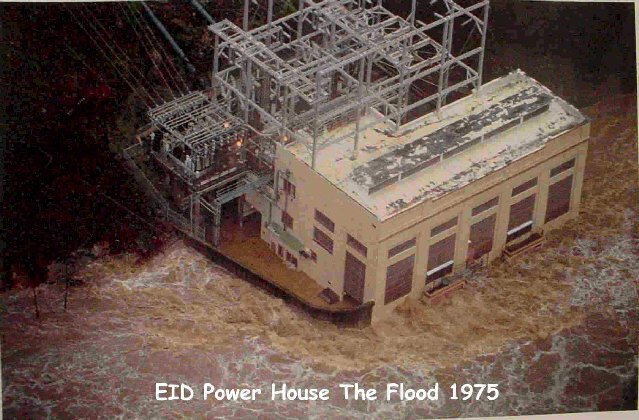 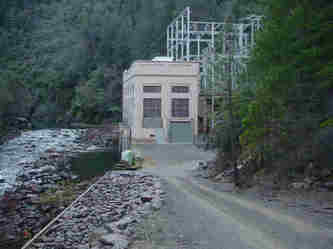 CEI installed flood protection at the El Dorado Irrigation District Power House. 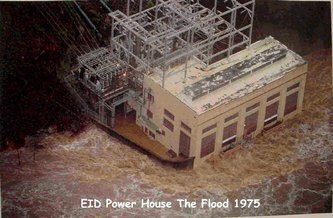 Work consisted of Removing windows, and installing concrete walls, grout injecting walls, demotion of existing equipment and walls, installing water-tight doors, and erosion control outside the power house. 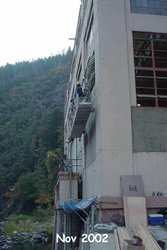 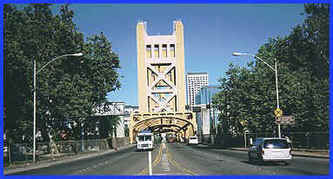 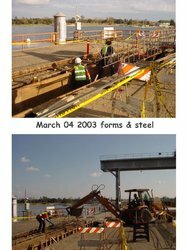 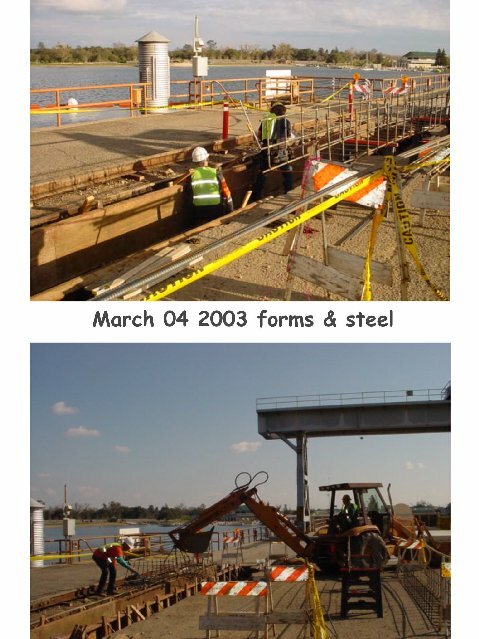 This project was challenging due to the short schedule, and working directly over the American River.